Gearl F. Pruitt, January 21, 2017, age 79 of Goodlettsville. 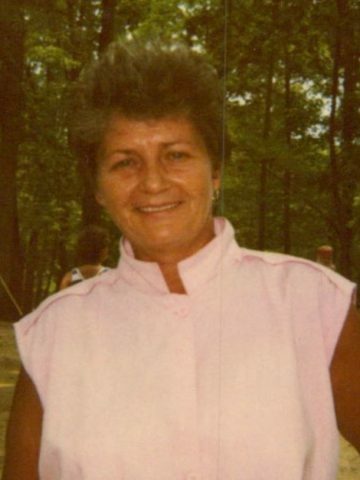 She is preceded in death by her husband, Ernest Pruitt; daughter, Frankie Pruitt; son, Tim Pruitt; son-in-law, Donnie Hutton. She is survived by her son, Wayne Pruitt; daughter, Robbie Pruitt Hutton; grandchildren, Christie (Jeremy) Pruitt Townes, Lisa (Toby) Pruitt Tobitt, and Brandie (Will) Hutton Broersma; ten great-grandchildren, 3 great-great-grandchildren. Visitation will be at Cole & Garrett Funeral Home, Goodlettsville Monday from 2-8pm. Chapel service will be on Tuesday at 10 am with interment to follow at Forest Lawn Memorial Gardens.